Nyeeam Hudson has captured global and national celebrity attention and audiences. 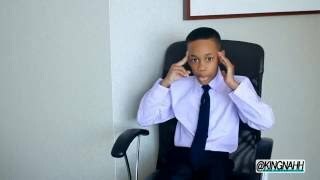 "The International Motivational Speaker" is one of "12 kids who rocked the world in 2016" according to the Huffington Post, and Forbes would like for you to "meet the most motivational kid in America." Nyeeam has been interviewed and has appeared on countless media platforms, including Good Morning America (ABC-NY). Nyeeam Hudson has written his first book, We Are All Kings – A Motivational Guide for Parents. He shares his journey to encourage young boys to believe in themselves as kings of greatness. This impressive book has generated statewide momentum, while receiving great support and contributions via GoFundMe We Are All Kings. His national book tour is important because as Nyeeam Hudson has ventured the world himself, he unselfishly understands the power of positive thinking and he simply wants to give back. The goal is to tour schools and communities across the country to deliver his animated words of encouragement, personally reading his works, make new friends across the globe, and most importantly – crown each of them – "We Are All Kings!" There is no discrimination in his message, and he shares the same message with young girls in his upcoming second book, We Are All Queens Too! Nyeeam Hudson is also Youth Advocate Director for the FP YouthOutcry Foundation (NJ), where he is a youth advocate and spokesperson.